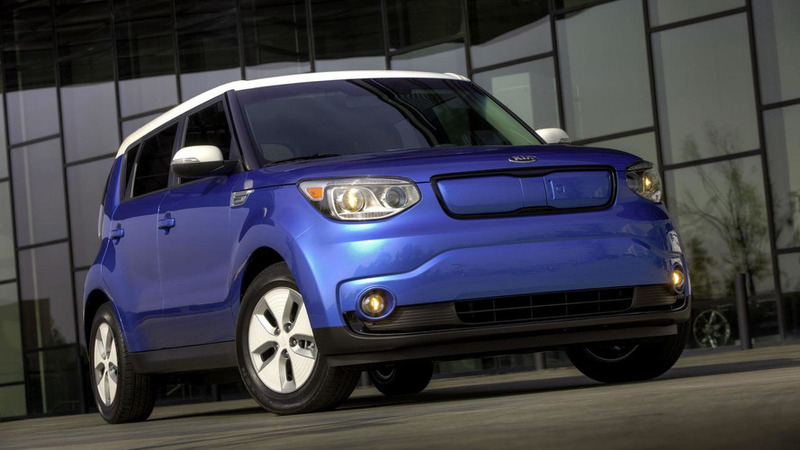 Kia has announced a series of updates to the 2016 Soul EV. First and foremost, there's a new entry-level Soul EV-e variant that starts at $31,950 and features heated front seats, a heated steering and a six-speaker audio system. The model also has Bluetooth connectivity and a multi-function steering wheel - among other things. At the other end of the spectrum, the range-topping Soul EV+ can be equipped with a new Sun & Fun Package that costs $1,100 and includes a panoramic sunroof, LED interior lighting and speaker lights that "pulse to the beats of the six-speaker audio system." All 2016 Soul EVs also gain a charge port nozzle lock, an illuminated AUX/USB port and two new exterior colors including Bright Silver and Shadow Black. As a refresher, the Soul EV features a 27 kWh lithium-ion battery which powers an electric motor that develops 109 bhp (81 kW) and 210 lb-ft (284 Nm) of torque. It enables the model to accelerate from 0-60 mph in 11.2 seconds before hitting a top speed of 90 mph (144 km/h).